is a division of The A. F. Davidson Corporation. We are a fifth generation family owned and operated supplier serving the Houma Louisiana community since 1885. With over 50,000 items in stock, the ability to ship anywhere in the world and open 7 days a week we are ready to serve you. is a master distributor for Orscheln® Products including their Felsted® brand of control cables. Our Cables are made with the same 100% OEM quality components used at the factory. We know how important it is for your equipment to be in service and that’s why we stock a considerable amount of product to minimize lead times. are available in various mounting configurations, travel or stroke length, overall length and temperature options. Cables are available for large OEM needs, and are also available custom made to your specifications. As an Orscheln® F.A.S.T distributor we can build thousands of different variations of cable in order to satisfy your needs. We offer mechanical valve and pump controls for on and off highway applications for both OEM and aftermarket requirements. We stock an extensive line of standard products or custom designed controls for these applications. The mechanical foot pedal is the heavy-duty choice for all applications that call for a rugged steel construction. It offers far greater rigidity, durability and reliability than aluminum die castings. 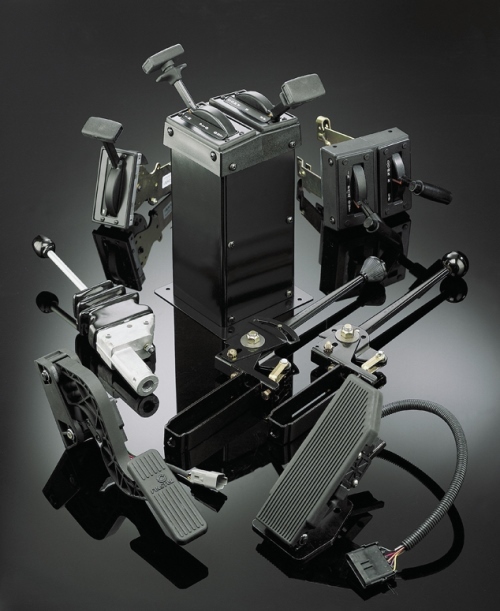 When used with Orscheln Products cables and modulators, the mechanical foot pedal gives you a complete system you can rely on. We offers a variety of lever operated valve controls, from the traditional spring centered valve control lever to heavy duty levers in standard and push button, gated configuration. Also available, the traditional “dump body” style controls in both the rugged, T- release type “Felsted® shifter” and the economic, side push button release, NG shifter styles. We can provide optional mounting towers in single, double and triple configurations. Connection kits and mounting hardware also available. Available in both “dump body” styles. Pump controls are also available for “FNR” functions in friction lever, gated and non- gated configurations for hydrostatic and other direction control applications. 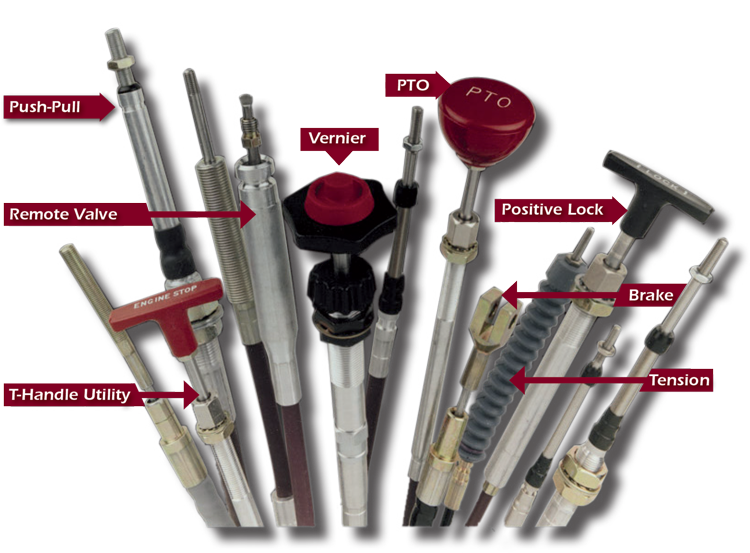 Pump control applications can generally be solved with one of the standard products in either the shifter or heavy duty lever design. Transmission controls are designed around the “Felsted® Shifter” platform. Orscheln® Products provides systems for the new Allison 1000, 2000 & 2400 series transmissions, in addition to the AT, MT, HT, and 2nd Neutral models. Available for standard, inhibitor and/or interlock shift applications. When it comes to parking Brake Cables, Custom Control Cables is the only name that should come to mind. Since durability, corrosion resistance, and dependability are critical, you want the best cable available. Orscheln® Products PBT construction is the market leader and time tested answer to your parking brake cable needs. Let us help you design a tension cable that meets the needs of your cable applications. 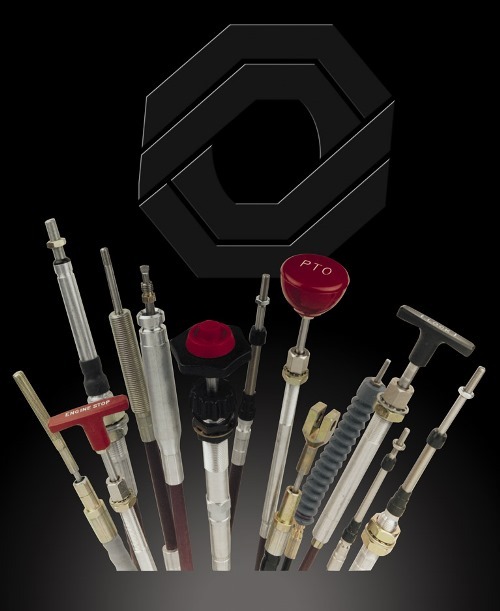 Orscheln Products “Overcenter” Park Brake Levers and Foot Pedal Levers have been the industry standard for over 65 years. There are various mounting configurations, handle length, locking, and light switch options available.